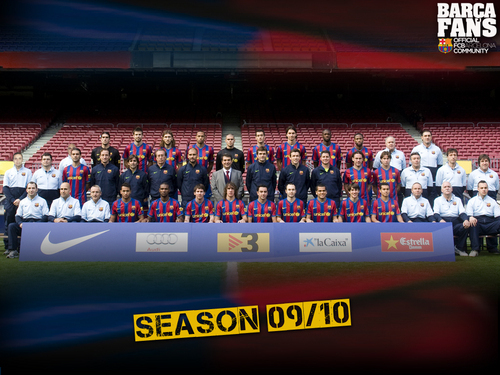 2009/10 Squad. . HD Wallpaper and background images in the FC Barcelona club. This FC Barcelona wallpaper might contain theater, theatre, and house.